A group affiliated with Al-Qaeda was responsible for an attack on the Libyan U.S. consulate and the death of its ambassador, according to sources familiar with extremist groups in the country. 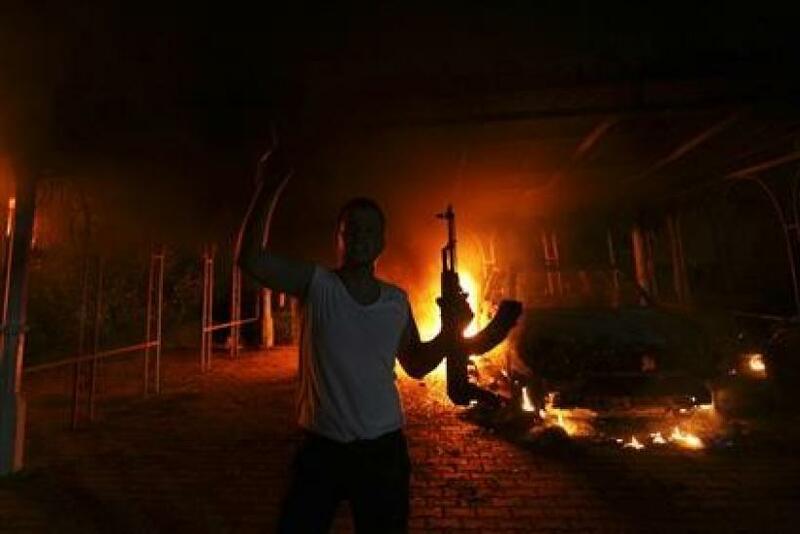 Members of the banned Omar Abdul Rahman Brigades were behind the assault on the Benghazi embassy on Tuesday, using the pretext of an inflammatory online video depicting the Islamic prophet Mohamed to launch the attack which killed Christopher Stevens, CNN reported. The report comes as mobs, reportedly enraged by the controversial "Innocence of Muslims" film, stormed the U.S. embassy in Yemen's capital Sanaa on Thursday. Speaking about the Libyan attack, former Islamic extremist Noman Benotman told CNN: "An attack like this would likely have required preparation. This would not seem to be merely a protest which escalated." Now a member of London-based advocacy group the Quilliam Foundation, Noman added that according to the foundation's sources: "The attack was the work of roughly 20 militants, prepared for a military assault; it is rare that an RPG7 is present at a peaceful protest." CNN also quoted further un-named U.S. sources, who added that the assault against the Consulate was pre-planned, and that the attackers had used protest over the "Innocence" film as a diversion. The Libyan attack follows angry protests at the U.S. embassy in Cairo earlier in the week, where a mob also stormed the compound, burning an American flag. On Thursday, Egyptian security forces fired teargas to disperse large crowds as fresh violence erupted between protestors and police at the U.S. embassy.